“We have built strong partnerships with only the best manufacturers in the world and we are very excited to provide our customers with this innovative solution for their concrete production needs. We are proud and honored to receive this award,” said John Coughlin, Linder’s President & CEO. Cemen Tech has introduced two new dump trailers—the DT-100 and DT-200—to complement its line of volumetric concrete production solutions. Ideal for hauling concrete, sand, stone, mulch and other materials, these new heavy-duty one and two yard dump trailers are designed for use in residential building projects, rental yards, landscaping applications and other small- to mid-size jobs. Nearly every facet of the construction industry uses concrete, from building major highways to decorative landscaping. No matter how small or large the job, the traditional method of concrete delivery has remained the same—drum mixers bring in a load from the batch plant. Sometimes, they arrive late. Sometimes, they bring too much or too little. Other times, the quality varies from batch to batch. Introuduce the Cemen Tech Volumetric Mixers. Volumetric mixers are perfect for concrete road and bridgework. The Cemen Tech C Series volumetric concrete mixer with one-button operation with ACCU-POUR technology and the AP-Touch control panel allows for consistently accurate mix designs for every road and bridge job. Pre-programmed mix designs simplify labor by reducing the need to have concrete experts on staff and on site. Information is stored electronically for each job, allowing the end user to increase productivity, profits and to lower total operating costs. 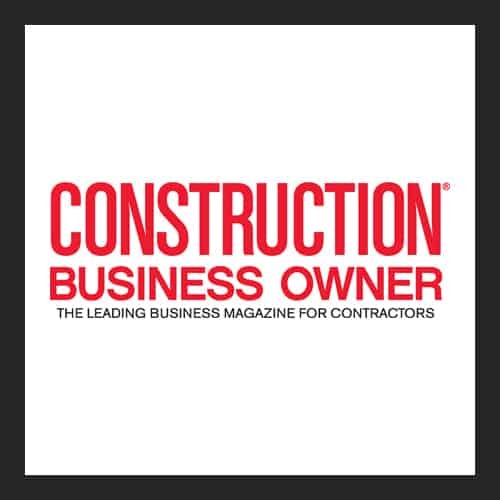 Each year, the construction editors at AC Business Media generate and post hundreds of videos to the Video Network on the ForConstructionPros.com (FCP) web portal. The Video Network now hosts more than 3,600 videos on a range of topics relevant to construction audiences of all types. Because a sizable percentage of these videos feature the equipment that Equipment Today readers are either using now or considering for their jobsites in future, we’ve chosen to recognize the Top 25 Equipment Videos featured on the site over the past 12 months. Cemen Tech has announced the next generation of its C Series volumetric concrete mixers with the introduction of the newest C60 model. This includes enhanced ACCU-POUR capabilities and new Automated Gates as a standard option. The company has also announced a new 24-Hour Parts commitment for customers in the contiguous United States to ensure optimal uptime and productivity across its entire product offering. “The C Series Accu-Pour technology means a faster on boarding process and less chance of error for operators, as well as simplified labor demands. The C60 pairs ease of use with the most sophisticated technology possible for volumetric mixers,” stated Mark Rinehart, director of sales and marketing for Cemen Tech. The new automated gates technology makes the C60 fully computerized and continues to reduce operator error by syncing the mix design with the appropriate gate setting for material flow. An operator no longer needs to worry about manually changing the amount of material flow through the gates as it is done automatically based on the mix design selection on the AP-Touch screen. The operator simply selects their mix design, and the ACCU-POUR technology automatically aligns the gate settings with the correct mix design. This eliminates wasted material, time and money by ensuring they have the exact mix design every time. Concrete is the optimal choice for a more permanent structure with a longer lifespan than asphalt, concurs Mark Rinehart, director of sales and marketing for Cemen Tech.